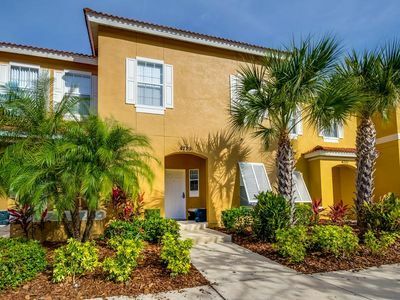 This new luxurious Florida villa rental boasts beautiful décor and very high quality furnishings throughout. 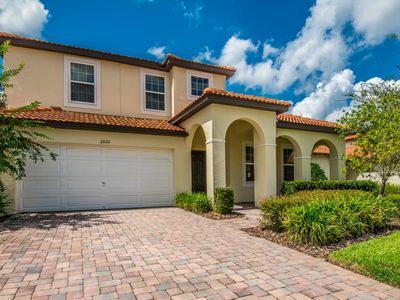 Surrounded by landscaped gardens, it is in the community of Tuscany at Westside, close to three golf courses including the award winning Highlands Reserve. 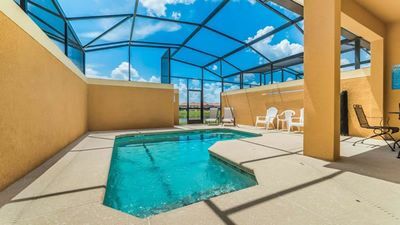 The south/west facing pool area has plenty of space to soak up the sun and relax after a long day at the parks and backs onto a conservation area for ultimate privacy. 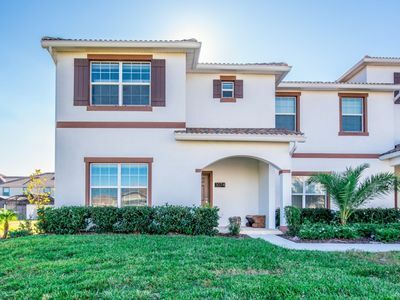 The community of Tuscany/Calabria at Westside is one of the most convenient and sought after locations for all major Orlando theme parks and is ideally situated for enjoying much of Central Florida. There are numerous restaurants/bars less than five minutes drive. 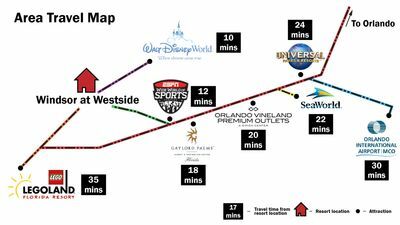 The villa is just 10 minutes from Disneyworld, 15 minutes from Seaworld and 20 minutes from Universal. 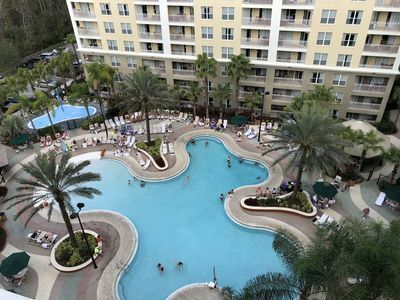 This makes it perfect for guests who want quick access to all that Disney has to offer, whilst having all the facilities to relax in privacy at the end of the day. This good size villa has around 3400 sq ft and comprises of 5 spacious bedrooms (The 2 Master bedrooms have a safe in each room). 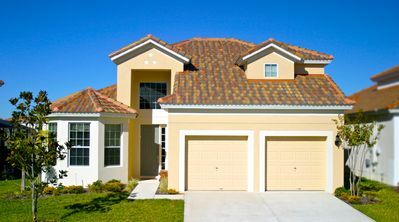 Each bedroom has a TV`s, there are 4.5 bathrooms, Kitchen, Dining Room, Living Room and Loft Room. Also included is upgraded Cable TV which includes English and Champions League Football and Wi-Fi Internet. An enclosed Pool and Spa over looking a conversation Area, plus a fully equipped games room which includes a slated pool table, Air hockey table and electronic dart board which will add to the excitement and fun of you holiday. For your security the house is fully alarmed, smoke detectors throughout the home and alarm on the doors going out to the pool for the children`s safety. 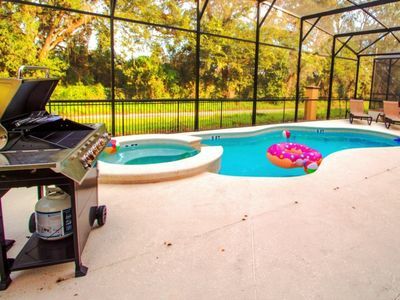 This villa has everything you need for a perfect holiday with a home from home feel. 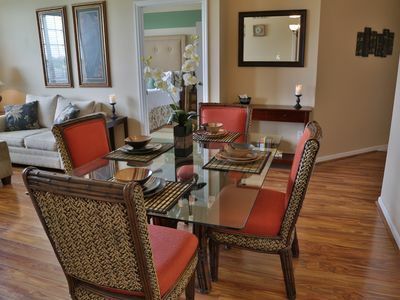 Solid wood dining table with seating for 8 in the elegant dining area. The kitchen is fully equipped with granite work surfaces, dishwasher, microwave, cooker, fridge with icemaker and water dispenser, all utensils and appliances including kettle, toaster, blender and coffee maker. Double sink with garbage disposal unit. Breakfast bar with four bar stools. 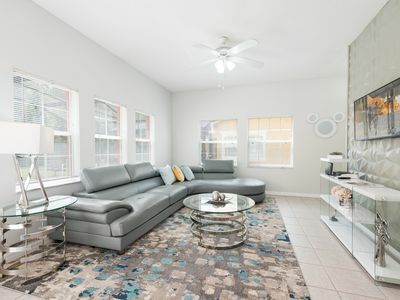 The living room has a 50” LCD Cable TV with DVD player, with the upgrade TV package (including English and Champions league Football) Large comfortable sectional and over head fan. The first master suite has a King size bed with walk in closet, bedside cabinets and electronic alarm clock and a safe ; en suite bathroom with large tub bath and shower over the bath, twin wash basins, vanity unit, mirror, WC and hairdryer. There’s a 42” LCD TV . The room also has an over head fan. Accessed via the garage/games room is the laundry room with automatic washing machine and separate drier. An ironing board and iron is also provided. 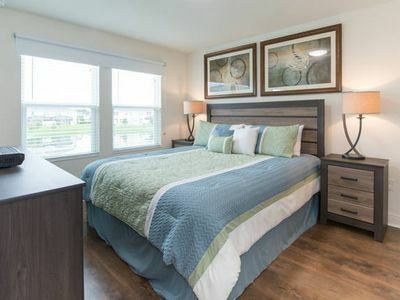 The second master suite also has a King size bed, bedside cabinets, alarm clock and a safe, 42” LCD TV and en suite bathroom (twin wash basins, vanity unit, mirror, large tub, double shower cubicle, hairdryer) WC and walk in closet. The Room also has an over head fan. The third bedroom has a Queen size bed, bedside cabinet, alarm clock, fitted closet and 24” LCD TV. The room also has an over head fan. The fifth bedroom has twin beds, bedside cabinet, alarm clock and a fitted closet. The room also has a 24” LCD TV and an over head fan. Bath and shower over the bath, wash basin, WC and hairdryer. The leisure room has a large corner sofa for cosy-ing up to watch TV on the 50” HD LCD screen (including English and Champions league Football), A Blu-ray DVD player and X-Box console are also available together with a games table for cards or jigsaws (provided). There also 2 football shaped chairs for children to sit on. 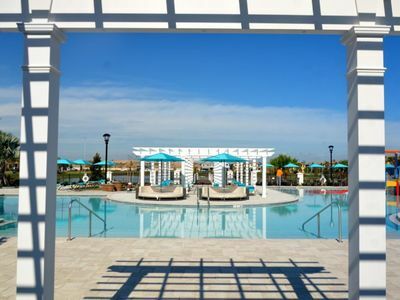 The entire pool area is fully screened and has a shaded lanai area for outdoor dining. 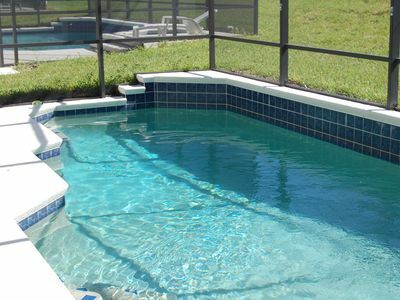 The large pool with spa face South/West and is approximately 15 x 30, the Pool & Spa can be heated (at a charge) and a large rectangular table seats six for dining and an over head fan to keep you cool. Four sun lounger`s are available. 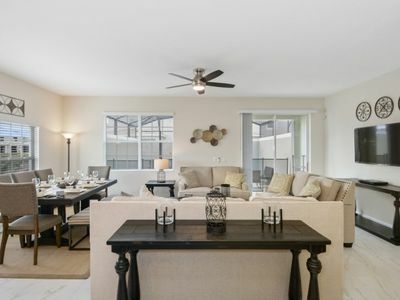 The pool backs onto a conservation area and offers the tranquillity and sunshine you need on holiday. 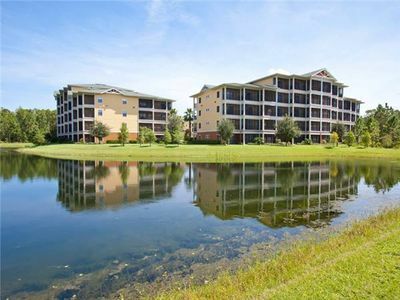 5 miles from Walt Disney World Resort! 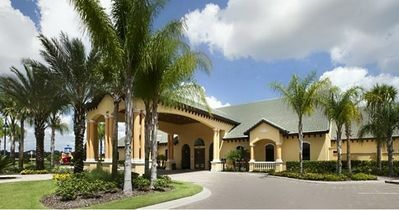 Lovely, Newly Renovated, Windsor Palms Resort. 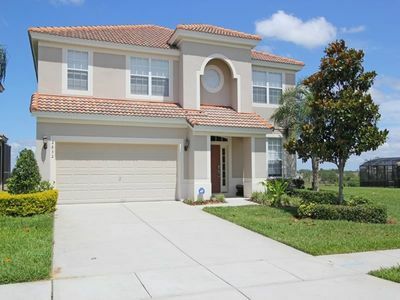 Close to Disney and Golf! 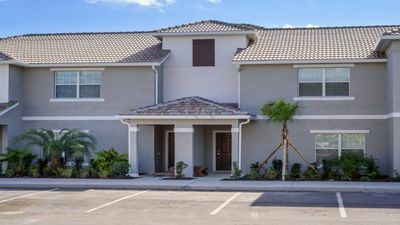 3 bedroom Townhouse in Kissimmee!